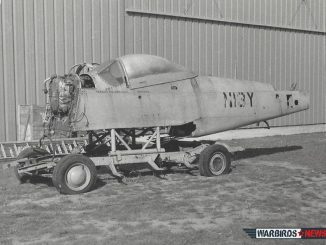 The New England Air Museum in Windsor Locks, Connecticut has a unique collection of remarkable aircraft, including several historic air racers. 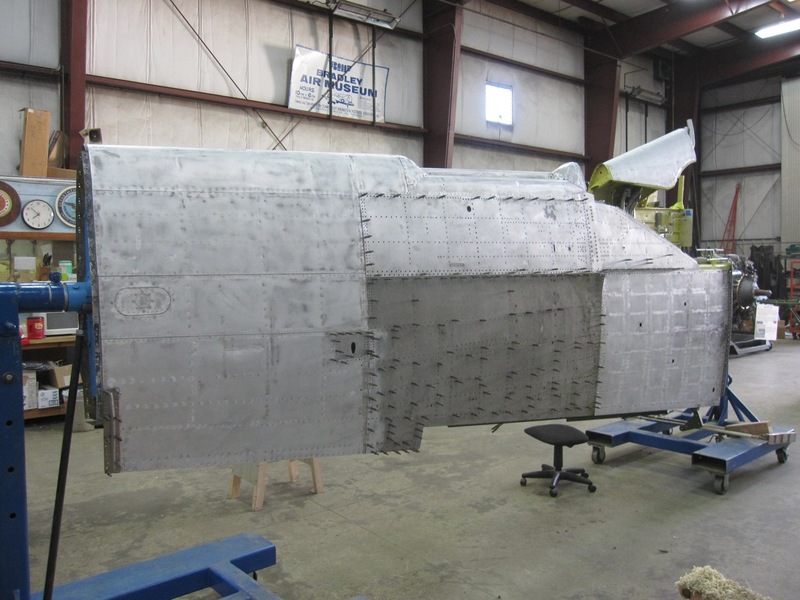 One such example, currently under restoration, is Anson Johnson’s P-51D Mustang, #44-72400. 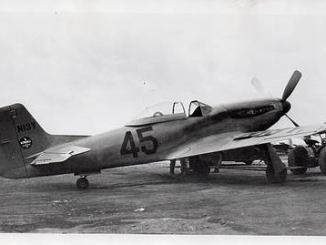 Johnson flew in the 1948 and ’49 Cleveland Air Races in this aircraft, winning the Thompson Trophy in 1948. 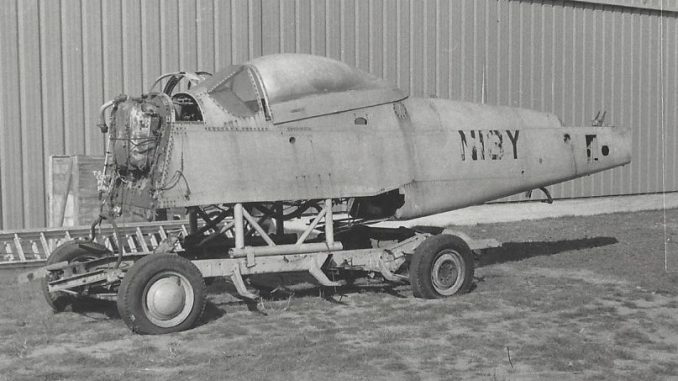 Like most air racers based on military aircraft designs, this Mustang received a number of modifications to make it lighter and faster than a stock example. 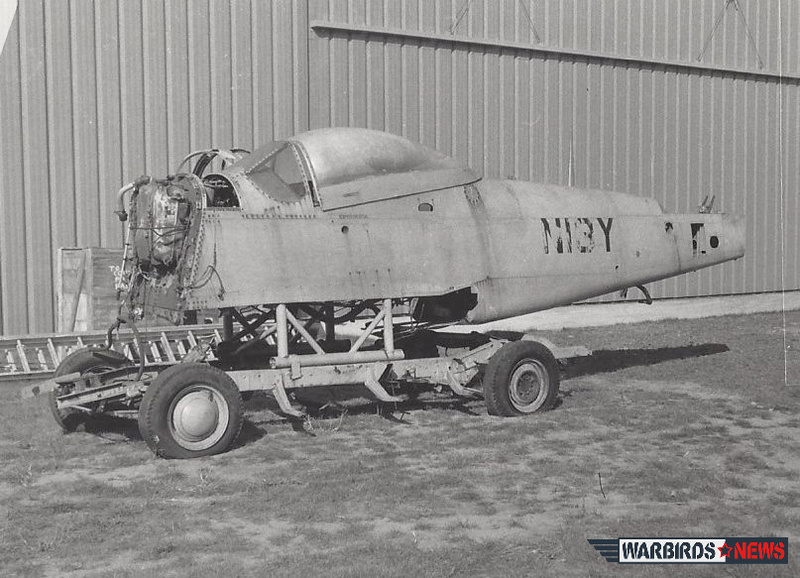 WarbirdsNews has been following this restoration, click HERE our previous article. Lots of progress have been made in the NEAM’s shop. 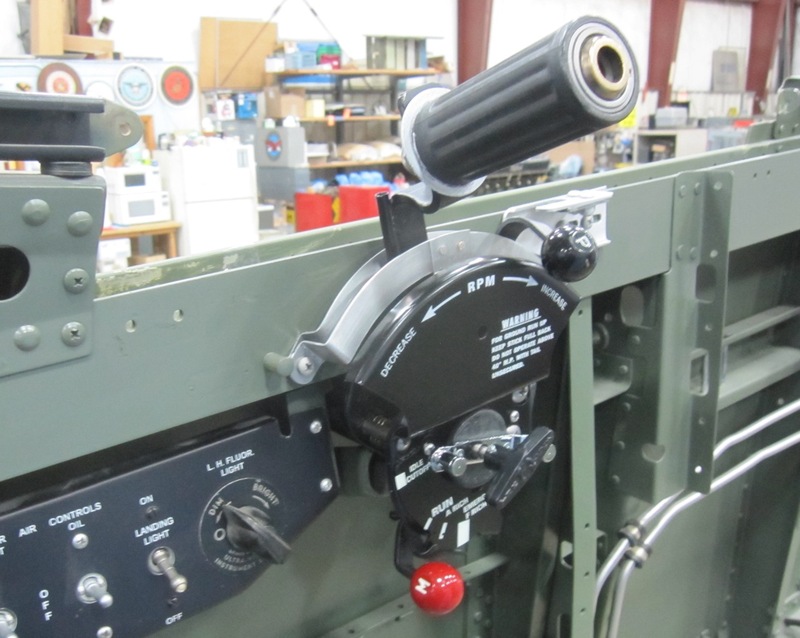 The throttle assembly is now fully restored, including the throttle guide and stop assemblies. 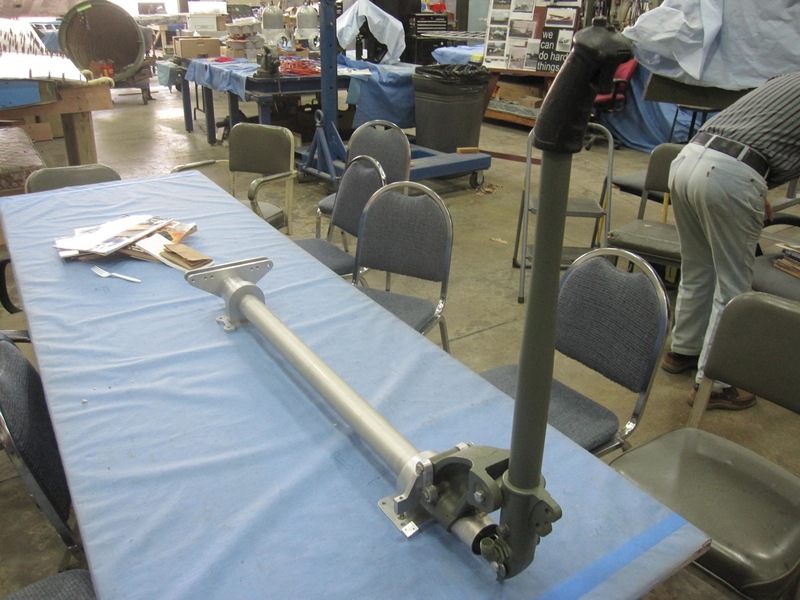 The control stick assembly is also completely restored now. The unique cooling dual inlet and cooling inlet guides for the right wing are both complete. 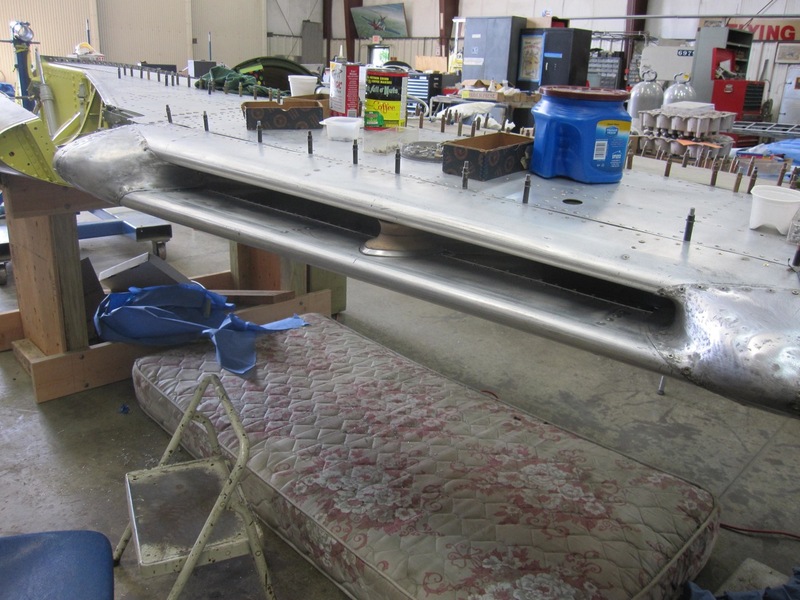 With the fabrication help of machinist Robert Bentley, the right wing dual inlet divider is also finished now as well. 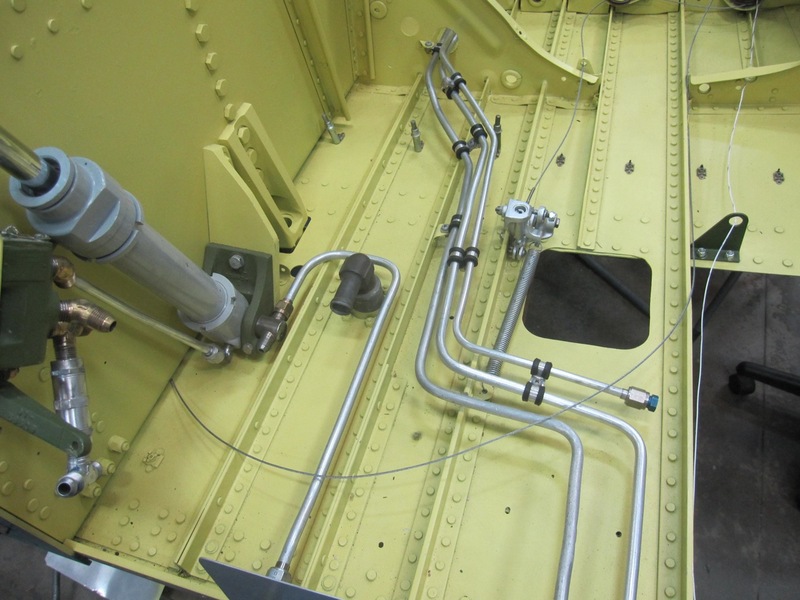 The right wing landing gear control hydraulic plumbing is finished as well. The right wing is mounted on the vertical work stands. Work now begins on the unique wing leading edge cooling exhaust guides which Anson Johnson designed for his racing Mustang. 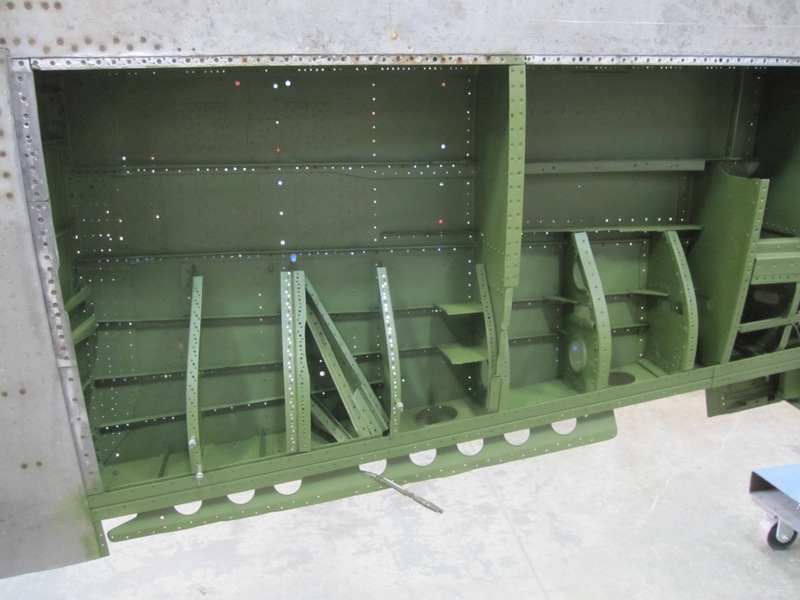 The Anson Johnson cooling exhaust guide channels are being re-built. 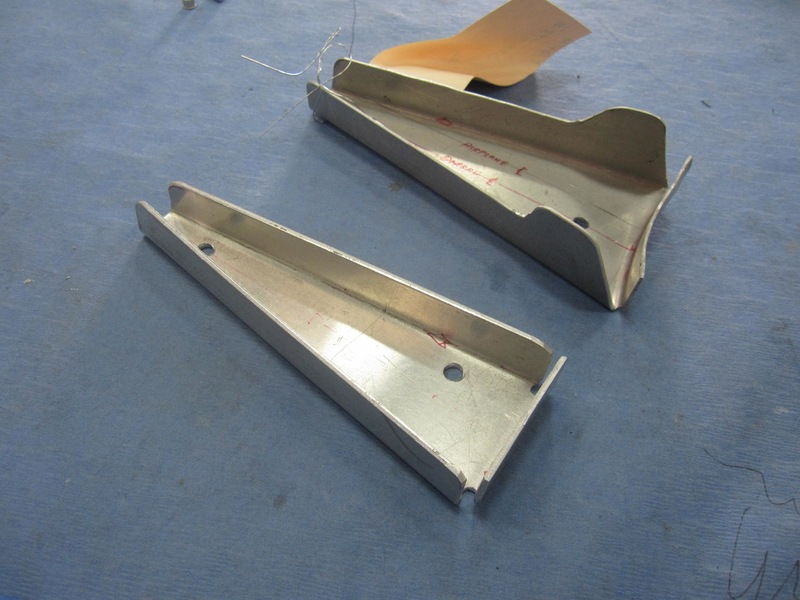 The right wing lower wing surface skin was too badly deteriorated for repair, and required a newly manufactured, replacement part. 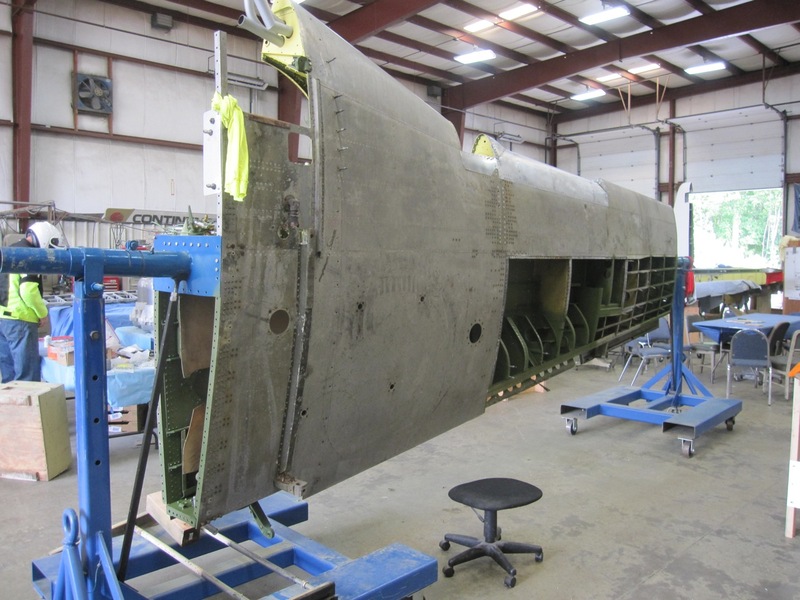 The restoration team has installed the new component, and finished the two two dorsal formers as well. 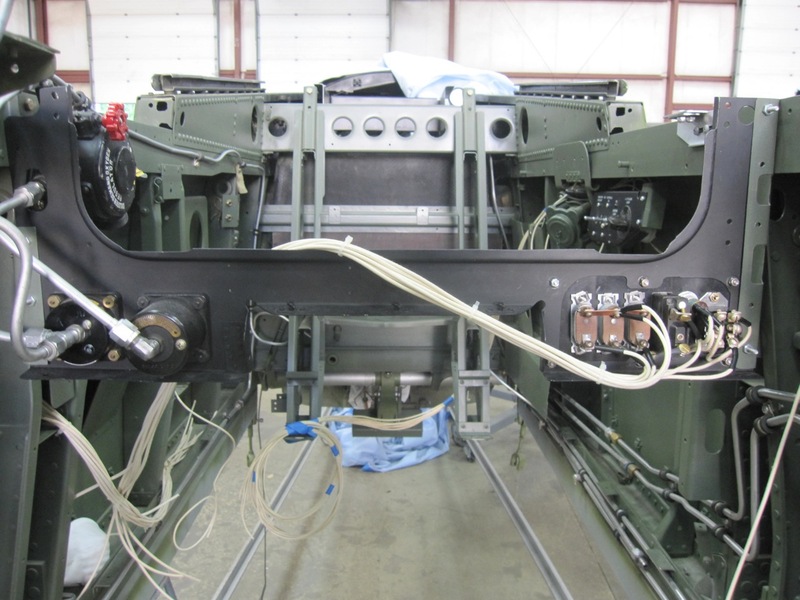 The lower instrument panel frame is now in place, along with the oxygen system plumbing. The restoration team has started re-wiring the cockpit. Please do visit the New England Air Museum if you get the chance, and as always, contribute to their fine work if you can. To learn more about the museum as a whole, or to find a way to help them please click HERE. More pictures of the restoration.